I was scrolling through Instagram recently – probably avoiding human interaction whilst waiting for a friend – and was entranced by Pim’s (AKA ilovechubbyunicorns) pictures of his Lamy Dialog 3. I’d heard of it, but it had never crossed my radar as a ‘must have’ pen for me. The passion and love for this writing instrument poured from Pim’s posts and piqued my interest. Then I saw the Dialog 3 EVERYWHERE. On internet ads. On other Insta feeds. In my dreams as I tried to sleep. I was inexplicably drawn to it, like Juliet to her Romeo. The universe aligned; I picked up a slightly bruised Dialog 3 through a swap on the Fountain Pens UK Facebook group. More on that later. The Lamy Dialog 3 is the first truly cigar shaped pen I’ve seen. 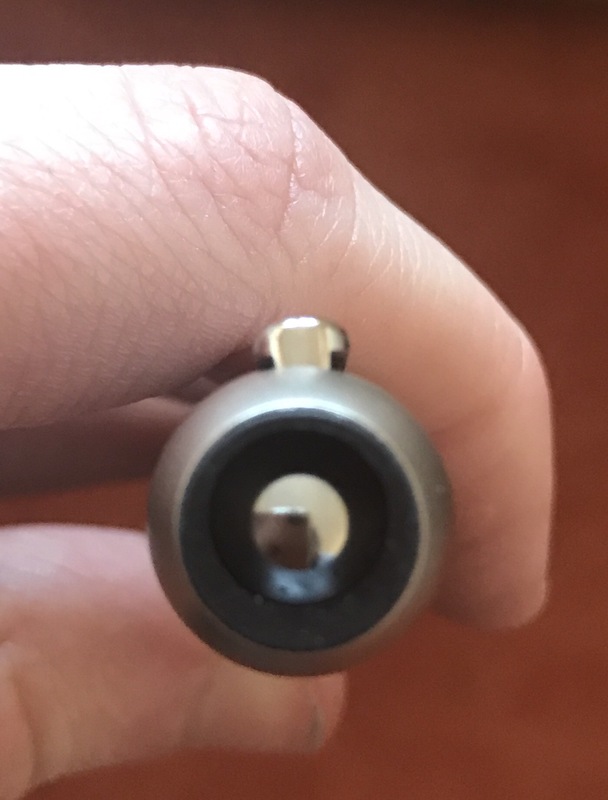 It is 13mm in diameter from nose to end, with a low profile, spring loaded clip and minimalist Lamy branding etched down the middle of the silver palladium barrel. It is also available in piano black or white, as Lamy seems to like the colours of magic wands. It is a bulky beast, measuring 14cm when the nib is not retracted (nearly 16cm when it is), and weighing in at 45g uninked and 47g inked. Compared to the 27g Lamy 2000 makrolon when inked, the Dialog 3 is a heffer indeed. In the hand, it feels solid and well balanced, but is so darn heavy that I easily get fatigued after a few pages of writing. Brief encounters at Juliet’s balcony appear to work best ;). But, despite its stylish grace, it can’t beat the Pilot Vanishing Point/Capless for ease of use. The Lamy mechanism requires two hands, whilst the VP is a one handed click. I also found it difficult to remember which way to turn the barrel – despite possessing a degree and a masters – and inadvertently dismantled the whole pen a few times. That said, my Lamy Romeo wins on looks and its clip is less intrusive than that of the VP. So, the Lamy can still whisper sweet nothings to me on my balcony anytime. When I first received the Lamy Dialog 3, it was beaten up (probably in a Capulet versus Montague scrap) and had a dent at the nib end that interfered with the opening mechanism. I was convinced I could fix it and save myself the £180-£235 for a whole new pen. An email and letter to Lamy Germany later, the Lamy Repair Team offered to fix it for me free of charge if I paid postage. Result! So, for about a fiver and a two week turnaround, Lamy replaced the whole barrel, tuned my nib and cleaned the entire thing. I repeat, for FIVE ENGLISH POUNDS. Why am I telling you this? Because some pen lovers are hesitant to approach pen manufacturers with repair requests due to cost. I’ve discovered that most pen making folk are more than happy to help and sometimes even for free! Don’t let your one true love languish at the bottom of a desk drawer; show it TLC, send it to the manufacturer and buy it a bunch of roses for when it arrives home. I’m a sucker for Lamy nibs, from the steel EF on my Safari, to the M 14k hooded nib on my Lamy 2000. The Dialog 3 14k nib is no exception. I love: the two tone look; the ability to swap it with other Lamy nibs as it is the same style as those on the Safari and AL Star; and the way it writes. It is toothier and a tad drier than my Lamy 2000 but is noticeably smoother than its steel counterparts. Don’t expect any bounce or line variation that you usually find with Pilot or Sailor nibs, but do expect a great daily notetaker. A solid six out of ten on the kiss-quality (or writing) meter. One caveat though; use a wet ink as the nib closing mechanism doesn’t entirely prevent the nib from drying out. I’ve used Diamine Ancient Copper which is a drier ink and had hard starts when picking up the pen after a few days, and occasionally mid-writing session too. I’d still snog it though. Would I pledge my undying (and suicidal!) love to my Lamy Dialog 3 Romeo? It is an interesting pen, enjoyable to use and great to show off to others, but I just don’t reach for it over my Lamy 2000 or my Pilot VP. The Dialog 3 is obviously well put together, but I recommend you try before you buy because the weight won’t suit everybody and you need to be clear about what you want to use it for. Looking for a quick(ish) notetaker with tough skin? The Dialog 3 will fit the bill…but so will a Pilot VP, Karas Kustoms Ink or Fountain K for a lot cheaper. After a comfy letter writing companion? Give this a miss, unless you are wrist weight training for the World’s Strongest Man competition. Want a sixteenth century lover to serenade you on an Italian inspired balcony? Naaaah, the Lamy Dialog 3 won’t do that either, unfortunately. 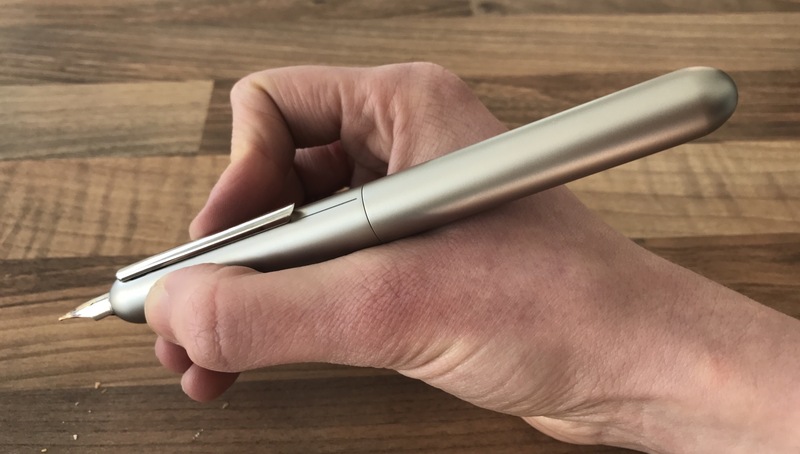 What do you think about the Lamy Dialog 3? And what pen is your Romeo or Juliet? O’Romeo, Romeo, wherefore art thou, Romeo? Haha cheers Jon! Glad you appreciated it and it was useful for you too 😊. It is a crazy long and weighty pen, so you would need hands of steel to wield it! A little pricy. My daily user(s) are TWISBI Ecos. Also a Conklin Word Gauge. All that beautiful ink sloshing around…sigh. Loved your review.